A UC San Francisco-led study has identified signatures of ethnicity in the genome that appear to reflect an ethnic group’s shared culture and environment, rather than its common genetic ancestry. The study examined DNA methylation — an “annotation” of DNA that alters gene expression without changing the genomic sequence itself — in a group of diverse Latino children. 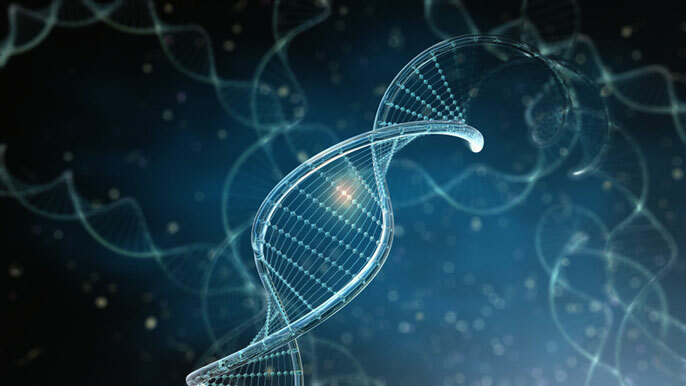 Methylation is one type of “epigenetic mark” that previous research has shown can be either inherited or altered by life experience. The researchers identified several hundred differences in methylation associated with either Mexican or Puerto Rican ethnicity, but discovered that only three-quarters of the epigenetic difference between the two ethnic subgroups could be accounted for by differences in the children’s genetic ancestry. The rest of the epigenetic differences, the authors suggest, may reflect a biological stamp made by the different experiences, practices, and environmental exposures distinct to the two ethnic subgroups. The discovery could help scientists understand how social, cultural, and environmental factors interact with genetics to create differences in health outcomes between different ethnic populations, the authors say, and provides a counterpoint to long-standing efforts in the biomedical research community to replace imprecise racial and ethnic categorization with genetic tests to determine ancestry. The research — published Jan. 3, 2017 in the online journal eLife — was led by Joshua Galanter, M.D., MAS, formerly an assistant professor of medicine, of bioengineering and therapeutic sciences, and of epidemiology and biostatistics at UCSF, who is now a scientist at Genentech. The research was jointly supervised by Zaitlen and co-senior author Esteban Burchard, M.D., MPH, a professor of bioengineering and therapeutic sciences and of medicine in UCSF’s schools of Pharmacy and Medicine and the Harry Wm. and Diana V. Hind Distinguished Professorship in Pharmaceutical Sciences II at UCSF. Researchers and clinicians have known for many years that different racial and ethnic populations get diseases at different rates, respond differently to medications, and show very different results on standard clinical tests: “For a whole range of medical tests, whether your physician is told that your lab result is normal or abnormal depends entirely on the race/ethnicity box that you tick on an intake form,” Zaitlen said. It’s tempting to assume that such health disparities between races and ethnicities all stem from inherited genetic differences, but that’s not necessarily the case. Different racial and ethnic groups also eat different diets, live in neighborhoods with more or less pollution, experience different levels of poverty, and are more or less likely to smoke tobacco, all of which could also impact their health outcomes. “A lot of our research involves trying to tease apart how much of health differences between populations are genetic and how much are environmental,” Zaitlen said. The researchers turned to epigenetics to search for answers to these questions because these molecular annotations of the genetic code have a unique position between genetic ancestry and environmental influence. Unlike the rest of the genome, which is only inherited from an individual’s parents (with random mutations here and there), methylation and other epigenetic annotations can be modified based on experience. These modifications influence when and where particular genes are expressed and appear to have significant impacts on disease risk, suggesting explanations for how environmental factors such as maternal smoking during pregnancy can influence a child’s risk of later health problems. In the new study, the team examined methylation signatures in 573 children of self-identified Mexican or Puerto-Rican identity drawn from the GALA II study, a cohort previously developed by Burchard to study environmental and genetic components of asthma risk in Latino children. They identified 916 methylation sites that varied with ethnic identity, but found that only 520 of these differences could be completely explained by genetic ancestry — 109 could be partially explained by ancestry, while 205 could not be explained by ancestry at all. Overall, the researchers found that about 76 percent of the effect of ethnicity on DNA methylation could be accounted for by controlling for genetic ancestry, suggesting that nearly a quarter of the effect must be due to other, unknown factors. The researchers found that many of these additional methylation sites corresponded to sites that previous studies had shown to be sensitive to environmental and social factors such as maternal smoking, exposure to diesel exhaust, and psychosocial stress. This led the team to hypothesize that a large fraction of their newly disovered epigenetic markers of ethnicity likely reflect biological signatures of environmental, social, or cultural differences between ethnic subgroups. Scientists and clinicians have increasingly tried to move away from simplistic racial and ethnic categories in disease research, the authors say, and – with the rise of precision medicine – in clinical diagnosis and treatment as well. Studies by the Burchard group and others have found that using genetic ancestry rather than ethnic self-identification significantly improves diagnostic accuracy for certain diseases. But the new data showing that a large fraction of epigenetic signatures of ethnicity reflect something other than ancestry suggests that abandoning the idea of race and ethnicity altogether could sacrifice a lot of valuable information about the drivers of differences in health and disease between different communities. Additional UCSF authors on the paper were Sam S Oh, MPH, Dara Torgerson, Neeta Thakur, M.D., MPH, Celeste Eng, Donglei Hu and Scott Huntsman, MS, as well as Kelly Meade, M.D., of UCSF Benioff Children’s Hospital Oakland. Additional authors involved in the study hailed from Stanford University; Hospital Universitario Nuestra Señora de Candelaria in Tenife, Spain and Instituto de Salud Carlos III in Madrid; Baylor College of Medicine and Texas Children’s Hospital in Houston; Northwestern University Feinberg School of Medicine in Chicago; Kaiser Permanente-Vallejo Medical Center in Vallejo, California; Bay Area Pediatrics in Oakland; Jacobi Medical Center in the Bronx; Veterans Caribbean Health System in San Juan, Puerto Rico; The Ann and Robert H Lurie Children’s Hospital of Chicago; Centro de Neumología Pediatrica in San Juan; National Jewish Health in Denver; and the City University of New York. Please see the published paper online for a full author list and funding information.